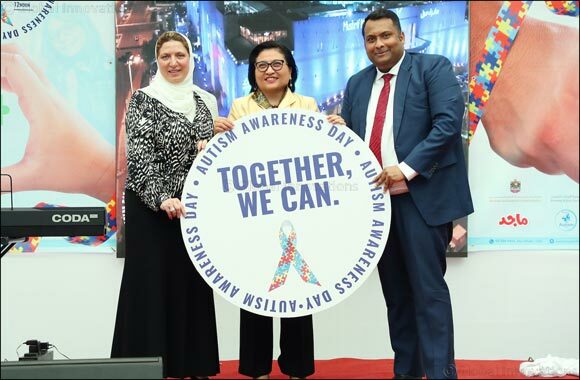 Mushrif Mall in Abu Dhabi hosted activities to raise awareness of Autism in the UAE on the 2nd of April as part of their annual CSR programme geared to motivate more parents to come forward if they notice anything different in children as early intervention is key for an affected child's progress. The mall hopes to engage with the community through hosting different activities such as arts and crafts, a game station and live entertainment. There will be a cake cutting ceremony, release of balloons and unveiling of the Mushrif Mall's new autism event logo. Keeping the audience entertained will be mascots, children's activity zone (colouring booth/ face painting), plaque and bouquet presentation, Fashion show for special kids (spring collection) and Autism Talks.